Main floor consists of a combined Living and dining room with open plan fully fitted kitchen, one guest bedroom with a bathroom. 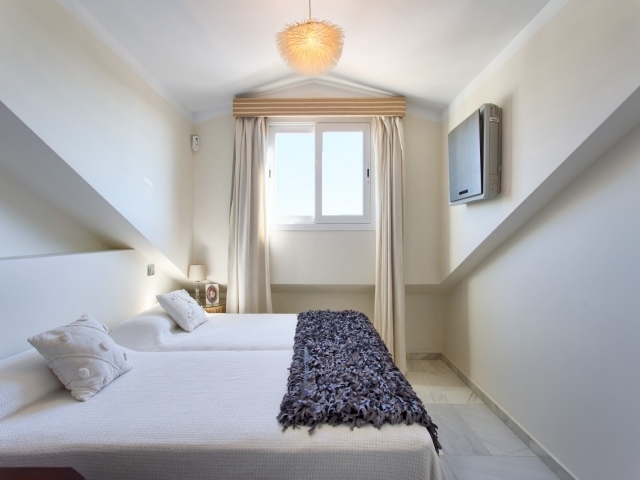 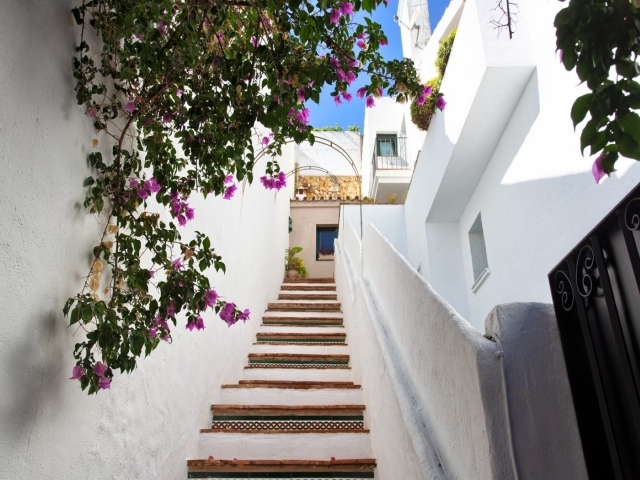 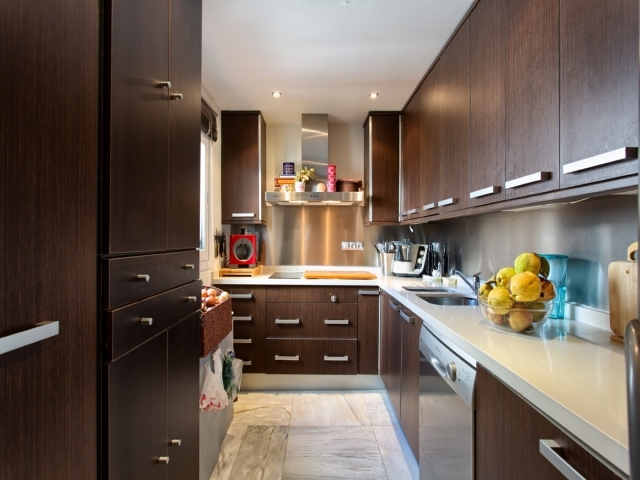 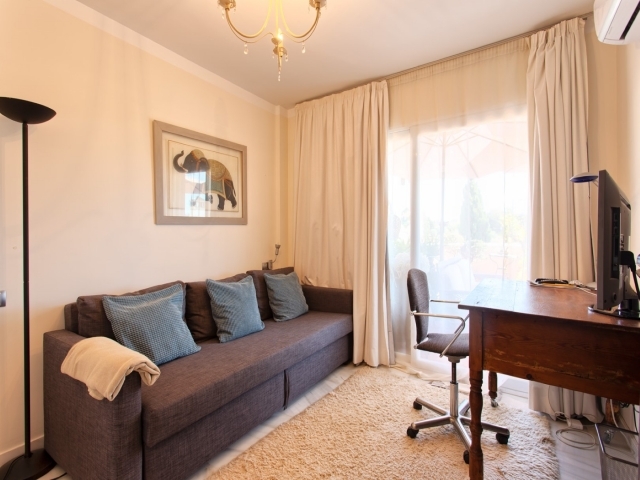 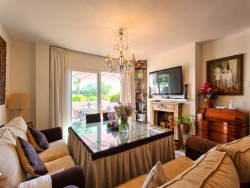 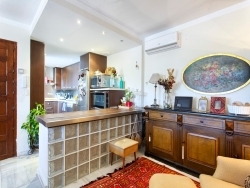 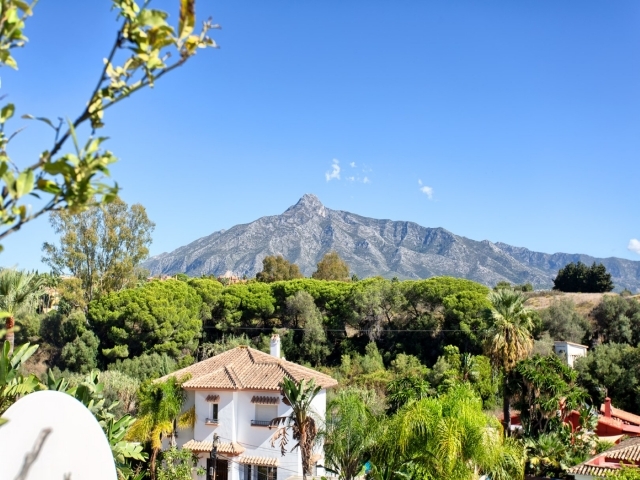 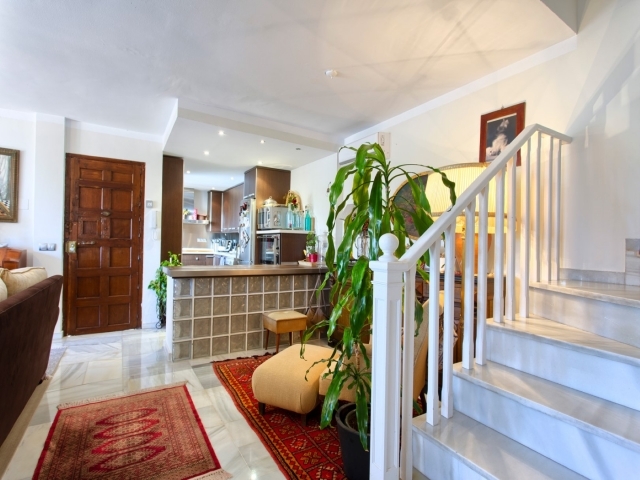 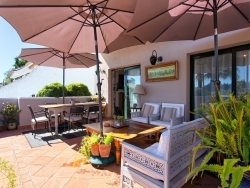 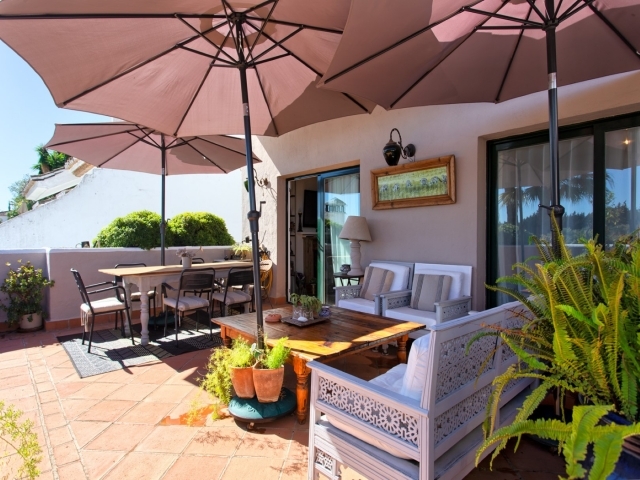 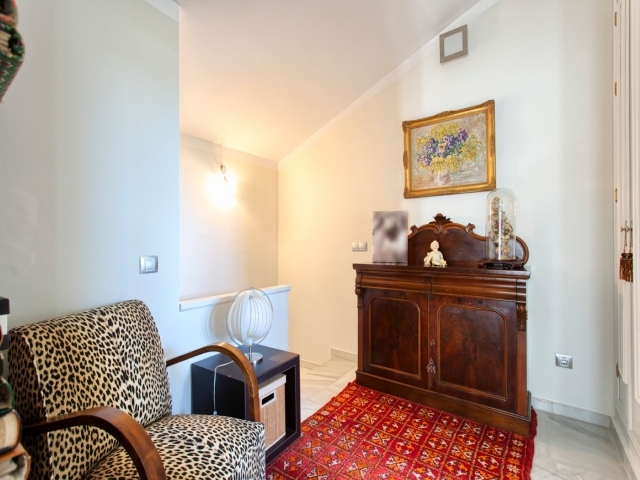 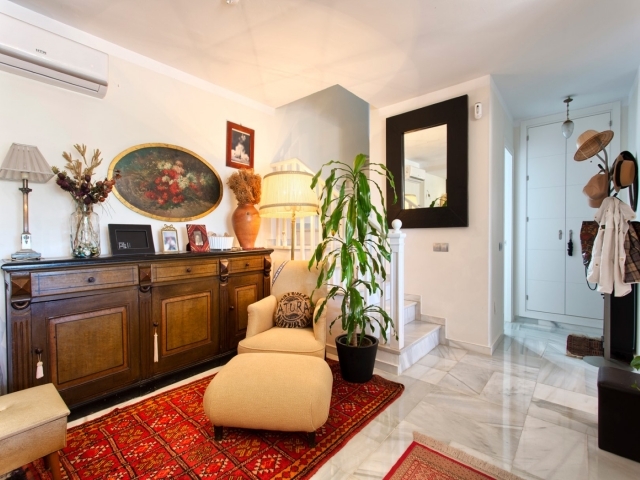 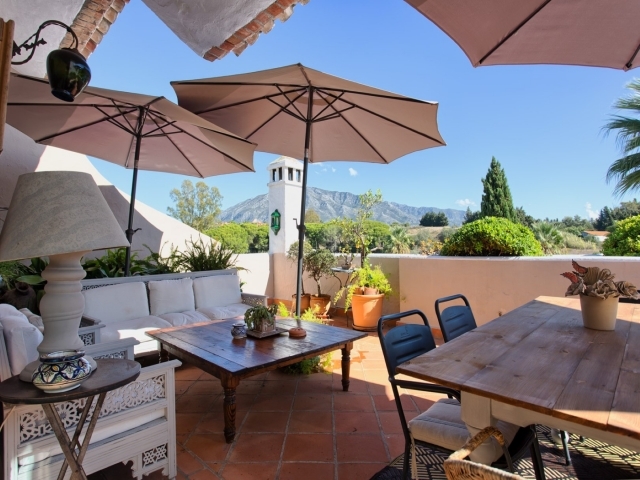 Direct access to the spacious and sunny 31m2 terrace with lovely views to La Concha. 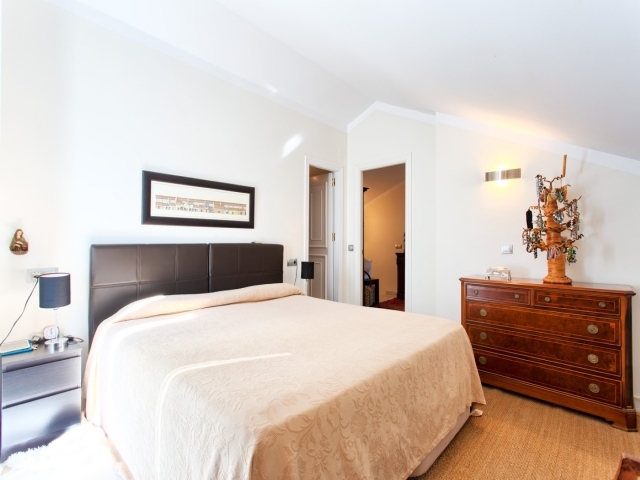 On the upper floor you will find the Master bedroom with dressing area, one further bedroom and a separate bathroom. 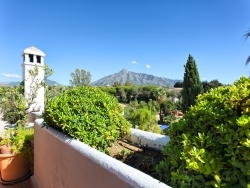 Los Toreros has a beautiful community pool and is situated on a gated dead-end street next to La Sala in Puerto Banus.